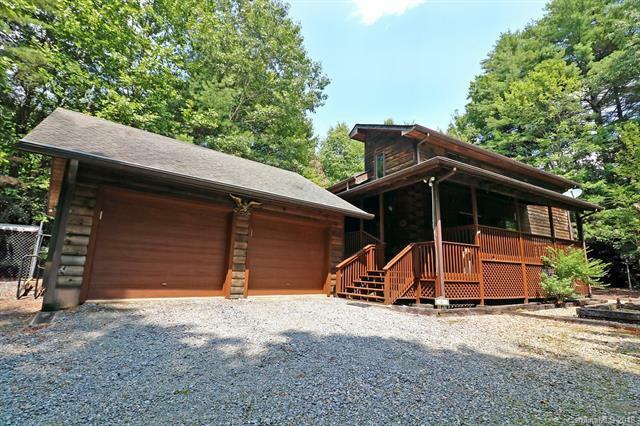 Long range view potential from this well maintained log cabin on two lots. This home is in very good condition and offers a large open great room, kitchen, and dining on the main level in addition to a master suite bedroom and bath. Upstairs is a loft area as well as an additional bedroom and bath. The two car detached garage has room for workshop area. Stone patio and fire pit just off the main level. Covered porch along the front of the home, dog run.